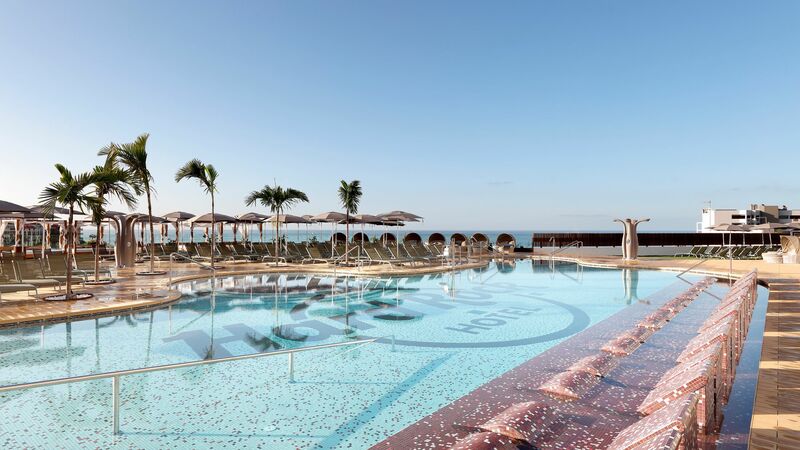 Opened in Autumn 2016 and located in the resort of Playa Paraiso, Hard Rock Hotel Tenerife promises an indulgent getaway, brimming with entertainment, luxurious rooms and suites, a host of bars and restaurants and everything you would expect from a Hard Rock Hotel. The hotel spans across its two towers: Oasis and Nirvana, creating a resort idyllic for couples and families alike. 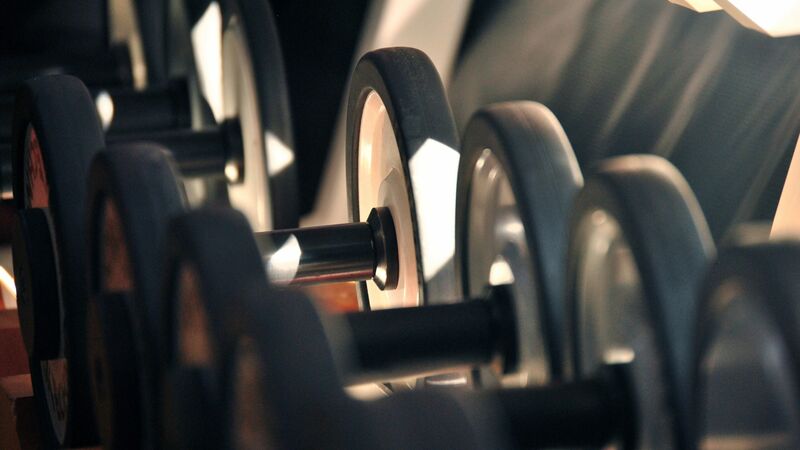 The hotel boasts a wide range of entertainment options, including evening entertainment and children's clubs, its very own branded spa and fitness centres; Rock Spa and Body Rock, as well as three swimming pools and novel in-room amenities, including Sound Of Your Stay. The hotel is situated with access to a natural seawater lagoon and sun worshippers will appreciate its beachfront location. 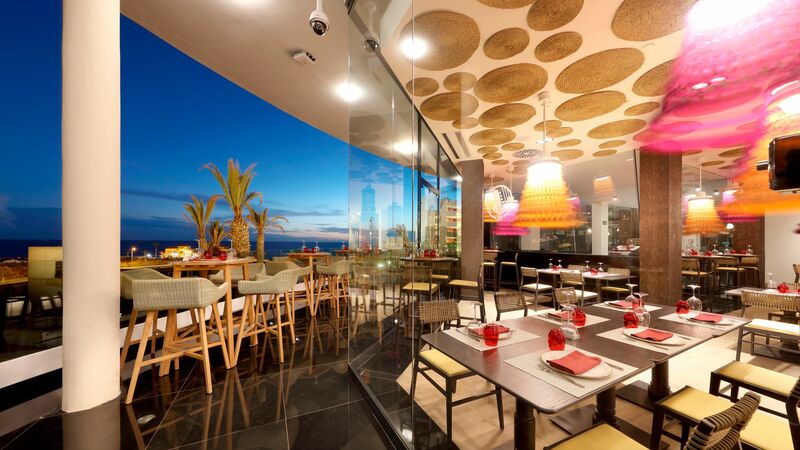 A perfect evening for sampling delicious Mediterranean cuisine and Spanish classics. With a focus on fresh ingredients and stunning presentation, this small plate style menu is ideal for couples and groups alike. Open for dinner, closed on Wednesday and Thursday. 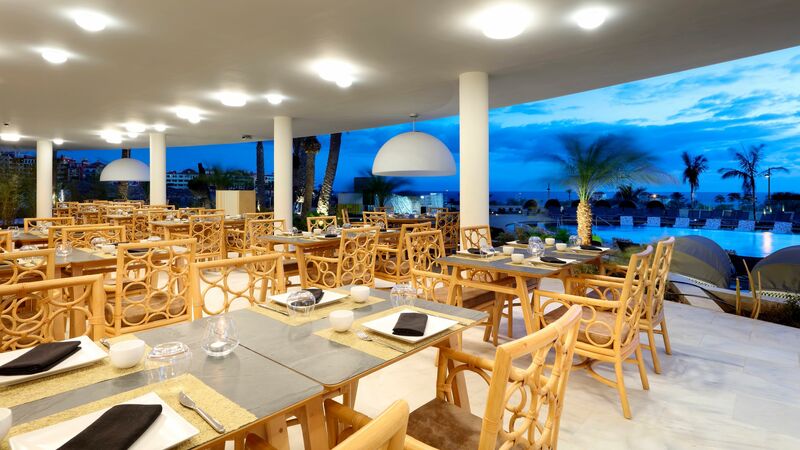 Guests on half board will receive a discount of €30 per adult and €15 per child at this restaurant. Keep yourself fuelled for a day at Hard Rock with an indulgent mix of flavours and a tempting selection of sweet and savoury snacks. For the meat lovers, this restaurant offers a tasty selection of prime cuts, all cooked over a charcoal grill. Diners get to choose from a delicious array of side dishes, and a well-equipped wine cellar is the perfect accompaniment. A creative menu celebrates the very best in Asian cuisine and all the better paired with this venue's delicious cocktail menu. 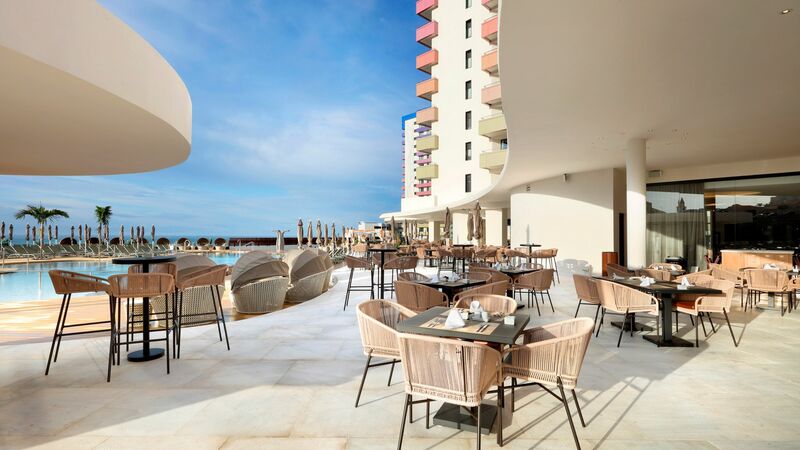 A buffet-style restaurant, which does not compromise on luxury, its stunning pool and ocean views are the perfect meal companion. Indulge in a delicious array of dishes both day and night. Guests on half board will dine here for breakfast and dinner. 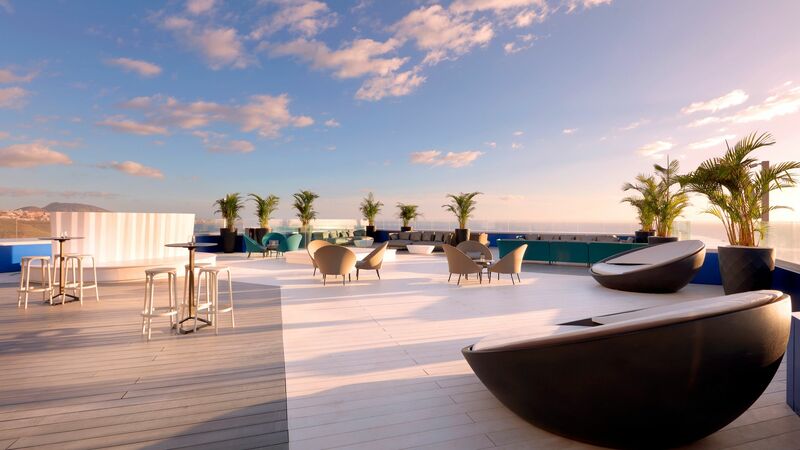 Enjoy a drink in style on the 16th floor with creative cocktails, chic surroundings, and live music making for a glamorous ambience. 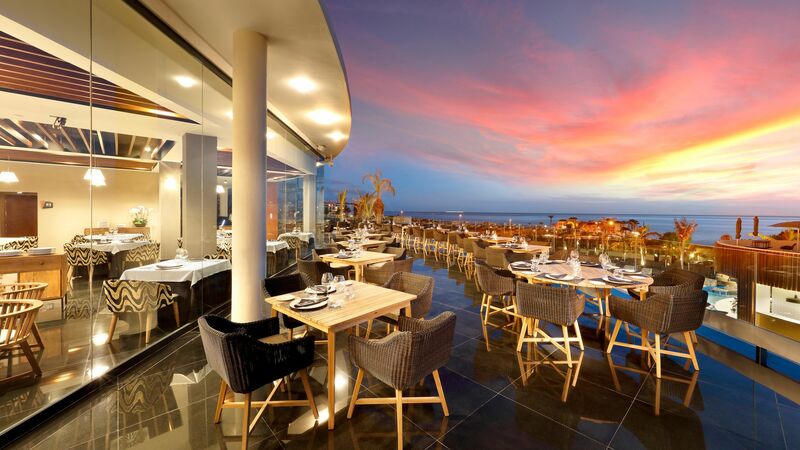 Aptly located opposite the lagoon with stunning ocean views, guests can enjoy both live music and delicious fusion cuisine in a comfortable setting. 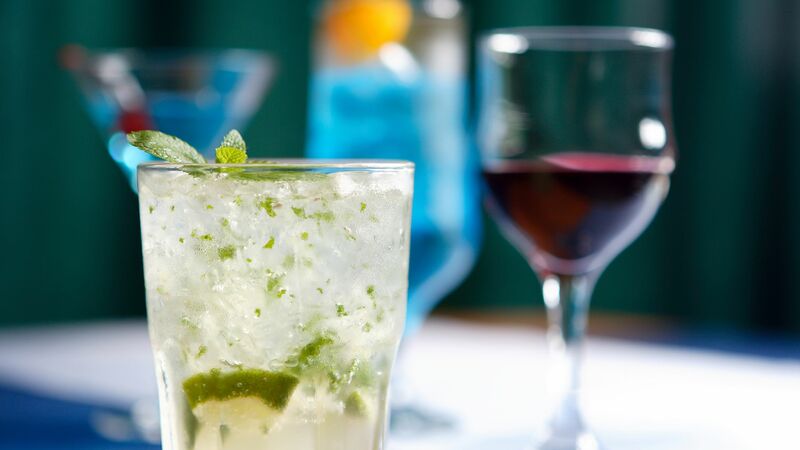 Whether its a daytime refreshment, pre-dinner aperitif, or an after-dinner drink, this lobby bar menu has you covered for all occasions. 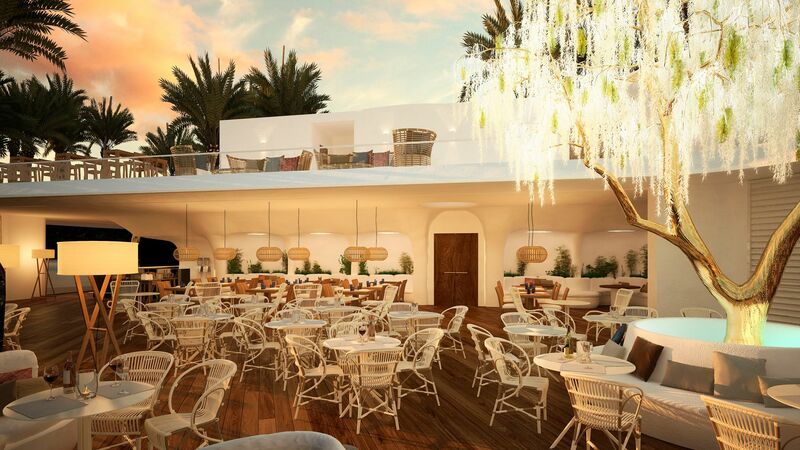 An ideal venue to both socialise and unwind. 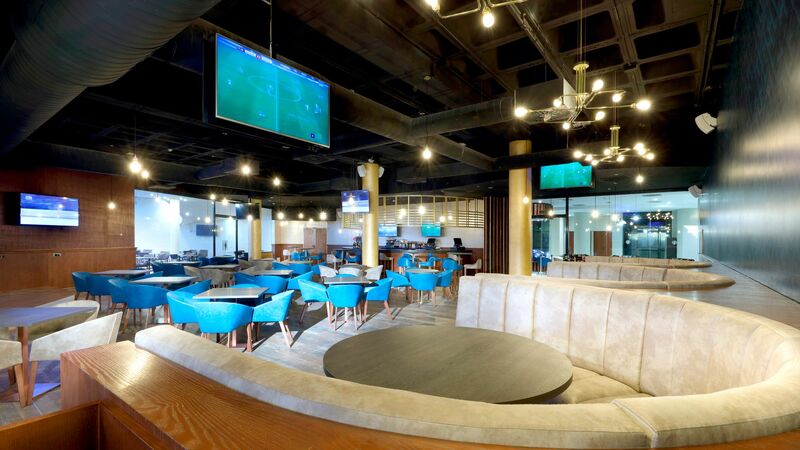 With giant screens, a great selection of drinks and a tasty Tex-Mex menu, this venue is a fun choice for the sports fans out there. By night, 3rd Half enjoys live music and jam sessions and becomes an entertaining venue to spend the evening with its very own stage. Sip on tempting cocktails, premium refreshments, and first-class snacks on the pool terraces, with the sparkling blue glimmer of the pools making for a stunning setting. The hotel has 3 swimming pools, 2 of which are heated. This kids club is suitable for 4–9 years. There are themed days, an assortment of interactive and video games, as well as karaoke competitions. There is also a Teen Spirit gaming area for 10–16 year olds, and a creche, 'Lullaby' that is open daily for children aged 6 months–3 years. 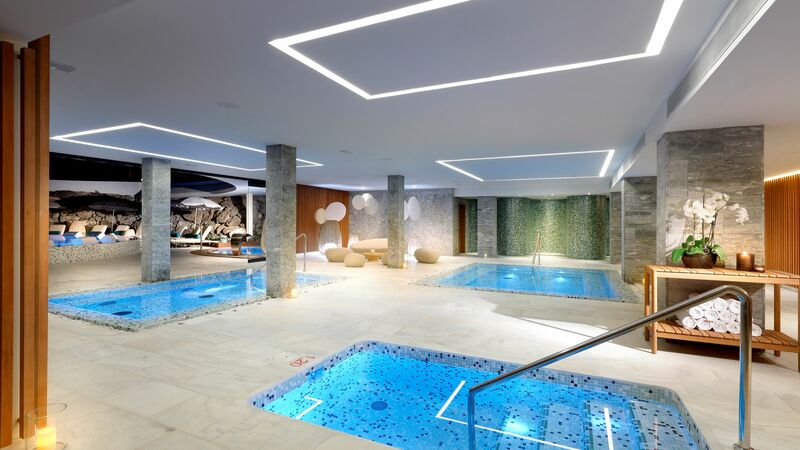 The Rock Spa is the Hard Rock's very own specialist spa. There is also a spa pool. Transfer time from Tenerife South airport is 20 minutes. Deluxe Silver Rooms are well-appointed and combine space with contemporary décor. Rooms measure 35m² and feature king or twin beds, a furnished outdoor terrace, air-conditioning, bathroom with rain-effect shower, bathrobe and slippers, hairdryer, telephone, safe, Wi-Fi, satellite TV, iPod® docking station, minibar and kettle. Interconnecting rooms are available on request. Deluxe Gold Rooms are well-appointed and combine space with contemporary décor. There are side views towards the Atlantic Ocean. Rooms measure 35m² and feature king or twin beds, a furnished outdoor terrace, air-conditioning, bathroom with rain-effect shower, bathrobe and slippers, hairdryer, telephone, safe, Wi-Fi, satellite TV, iPod® docking station, minibar and kettle. Interconnecting rooms are available on request. Deluxe Platinum Rooms are well-appointed and combine space with contemporary décor. There are fantastic full-frontal views towards the Atlantic Ocean. Rooms measure 35m² and feature king or twin beds, a furnished outdoor terrace, air-conditioning, bathroom with rain-effect shower, bathrobe and slippers, hairdryer, telephone, safe, Wi-Fi, satellite TV, iPod® docking station, minibar and kettle. Interconnecting rooms are available on request. Studio Suites Silver are larger at 50m² and include a living area with sofa bed, bathroom with whirlpool bath, Rock Spa® bath amenities, separate toilet, 43 inch satellite TV and a furnished outdoor terrace. These suites feature all the same amenities and services as Deluxe Rooms. Studio Suites Gold have stunning side sea views and are a larger size at 50m² and include a living area with sofa bed, bathroom with whirlpool bath, Rock Spa® bath amenities, separate toilet, 43 inch satellite TV and a furnished outdoor terrace. These suites feature all the same amenities and services as Deluxe Rooms. Rock Suite Platinum have fantastic full frontal views of the Atlantic Ocean and are a larger size at 50m² and include a living area with a sofa bed, which is separated by a sliding door, bathroom with whirlpool bath, Rock Spa® bath amenities, separate toilet, 43 inch satellite TV and a furnished outdoor terrace. These suites feature all the same amenities and services as Deluxe Rooms. Rock Royalty Studio Suites measure 50m² and are located on the 14th, 15th and 16th floors of the Nirvana Tower to offer exclusive services including private concierge, VIP check-in and private lounge access, for a luxurious stay. Rooms have a furnished balcony and added amenities include a maxibar, coffee machine with a premium coffee selection, complimentary pillow menu, sleeping mask, exclusive beach bag (1 per room) and turn down service. Guests will also receive a 24hr Rock Royalty personal assistant, ironing service (2 pieces per person), spa tub preparation, packing and unpacking luggage service, free access to the thermal circuit at the Rock Spa® and access to an exclusive area at the Nirvana pool. 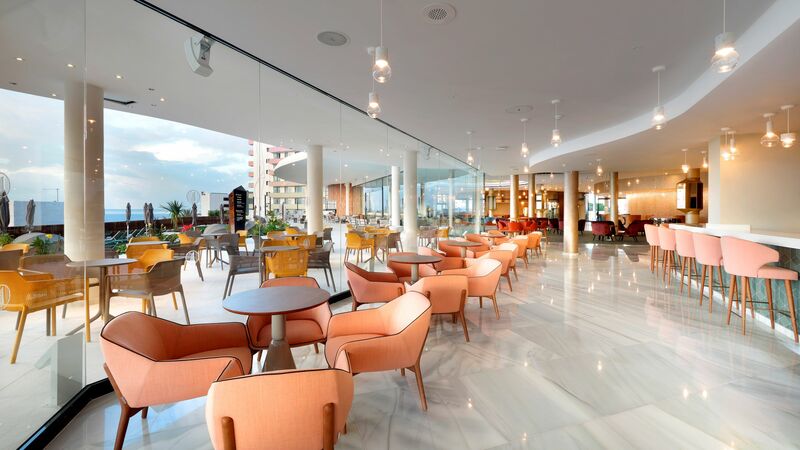 The Rock Royalty Lounge is open daily between 07:00-22:00 and offers a continental breakfast between 07:30-10:30, complimentary tea, coffee and soft drinks, beer and wine selection between 18:00-22:00, assortment of cakes and cookies between 16:00-18:00, international newspapers and complimentary computer and internet access. Save up to 30% on the hotel price for holidays between 11 - 31 October 2019. Save up to 25% on the hotel price for holidays between 17 April - 30 June 2019 & 12 - 31 July 2019. Save up to 20% on the hotel price for holidays between 25 August - 10 October 2019. Save up to 15% on the hotel price for holidays between 01 - 11 July 2019 & 01 - 24 August 2019. Valid for bookings on a Bed & Breakfast basis and when booked by 30 April 2019. Sovereign guests will receive one free entry to the spa per adult per stay for holidays until 31 October 2019. Had the pleasure of visiting the Hard Rock on a work trip (just realised I hadn't reviewed!). It is one of the best hotels I have stayed In, quirky, off the wall and kebabs for breakfast! For anyone who shares a love in music and somewhere that little bit different this is the place for you. Whilst Costa Adeje is a quiet resort and not as vibrant as other areas I would definitely recommend for a short break. All of the staff were friendly, polite and nothing was an issue. Give the steak restaurant a try it was one of the best steaks and meals I have ever had, with 5 star service. There was plenty of car parking available and easily accessible. We arrived to a DJ deck rapping welcoming. The ideas of the wrist bands to access the rooms is a great idea and something so different, beats carrying a card or losing a room key - just place your wrist band on the door and your in (just remember your door number). The entrance is bright, airy and inviting, the rainbow lit hotel building can be seen for miles and is a sight to be seen. 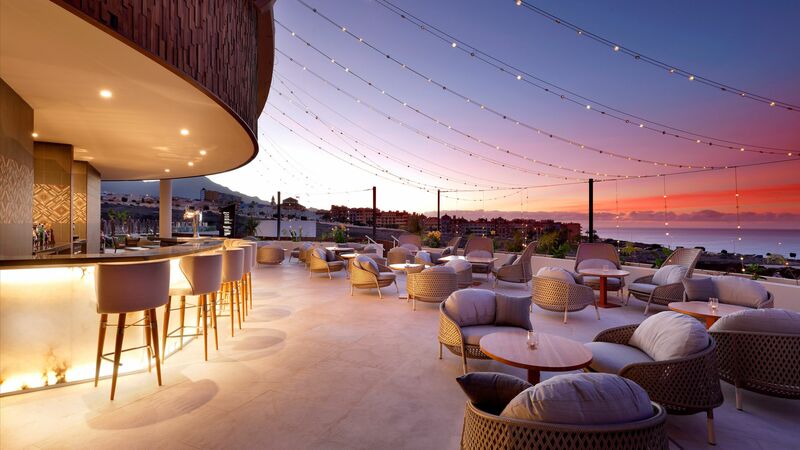 The roof top bar is the perfect pit stop for cocktails after a day in the sun. Lovely pool area, and breakfast was great. Fantastic choice of pretty much everything you could think of or want. We ate on the terrace. There is some building work going on opposite, which is unavoidable but maybe ask for a room away from it, sadly it is nothing to do with the hotel, you could hear it but they do play the music all day round the pool (and under the water!!) to drown it out, nothing major but like a lot of resorts the area is constantly expanding. The rooms were lovely, various different types and styles, loved the open sinks, the shower gel & shampoos smell divine. Rooms are sound proofed so never heard a peep, and the turn down service with a glass of water and slippers by the bed was warmly welcomed after a busy day. We were welcomed with little bottles of spirit & a nice slate of strawberries & sweets. Overall absolutely loved the hotel & would love to return and would recommend, perfect for those who like something that little bit different. Entertainment singer was also brilliant. We have just returned as a family of 4 from a 10 night stay at the Hard Rock Hotel. We had an amazing time and felt really looked after throughout the stay. Nothing was too much trouble for the staff and the service and friendliness of staff was excellent. We stayed in a gold studio suite in the Nirvana building in room 10425 so on the 4th floor. We had an amazing view of the sea on one side from our balcony and to the pools from the windows. We were half board and really enjoyed the breakfast and dinner. Both were varied each night and we didn't get board. There was fresh cooking at both where you queue (never more than 5 minutes) at a station and at breakfast could get a variety of eggs cooked exactly how you wanted them e.g. omelette with your choice of filling. At dinner there was always meat and fish cooked individually for you if you didn't want the prepared options which were numerous. One thing we did miss was the individualised pancakes which my kids had seen on youtube but there were lots of different types (they just didn't have an image!). There are 4 pools including the baby pool. The child and adult pool outside the sessions breakfast / dinner restaurant was the main pool we went to. The baby pool is just behind it and from that point there is a playground behind it (sort of up a hill) and the teen room and then the kids club just above that. The layout works really well for children as these areas are next to each other. There were plenty of loungers at all times of the day although the comfier seats did get reserved by abut 8.30 with people putting towels on etc but they often became available later in the day and there were always standard sun loungers and umbrellas available. On a few of the afternoons we went down to the beach club which you access by walking past the adult only pool and down a life 2 floors and always found seats there including comfy seats. The beach club pool is heated and was really warm. Although the top level pools weren't heated it was fine to swim in when the sun was out. We spotted quite a few famous people staying at the hotel including UK singers, footballers, soap star and a TV presenter! There are several shops, restaurants and a nice pub the britannia inn right outside the hotel. We also found a nice german bar down the hill about a minute walk from the hotel. I would recommend half board but there are also other options or if you fancy something different one evening. One thing that really stood out in relation to previous reviews were the drinks prices. It was much cheaper than we expected from reading reviews on here. Sometimes prices did vary but it became quickly clear this related to the fact they had a wine list so whether you were having house / specifically requesting dry etc. All of the wines we chose were 4-5 euro a glass and a large beer was 4.50. The prices on the 16th floor were a little dearer but to be expected given they often had events up there e.g. a kids party one night and a harpist another. The singers in the main lobby were very good and this went on from 9pm to 11ish. Our kids didn't really go to the kids club much but enjoyed when they did - there was so much going on around the hotel they made friends and wanted to play at the pool / playpark with them. All in all an excellent stay. Tenerife surprised us with the amount of activities within a 30 minute drive. The hotel made our holiday though and we will definitely be back. We are staying at this hotel and I must say till now brilliant customer service. The staff is absolutely polite and helpful. Tenerife is a lovely place to come with family. Lot of things to do. Best to hire a car to drive around. I will update the rest of the trip once back home.